Sharp, fine lines provide accurate reading. Large numbers are easy to read. Calibrated “to deliver” without blowout. 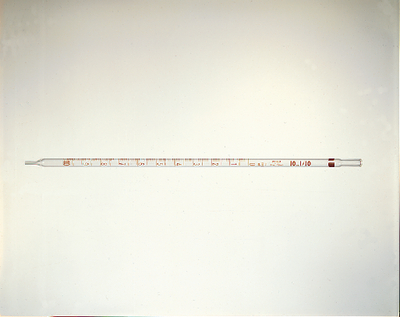 These pipets are color-coded by size for easy identification and sorting. The top end of 5–25 mL sizes is constricted. ASTM E-1293.